Vancouver was named Best Destination in Canada for the 16th consecutive year at the 2018 Travel Weekly Readers Choice Awards. The award winners, one for each of the 78 categories, represent the best of the best of the travel industry. The nominees and award recipients were chosen in two rounds of voting by Travel Weekly’s audience of travel professionals. For the second year in a row, Vancouver made Conde Nast Traveler’s “Best Cities in the World” (top 20 large cities) as voted by their readers. The ranking was part of the Reader&apos;s Choice Awards in which Conde Nast Traveler readers cast hundreds of thousands of votes for their favourite destinations. Vancouver is confirmed as an early-bird selection for the 2018 Global Top 100 Sustainable Destinations. The Top 100 aims to recognize tourism destinations that work to prioritize sustainable tourism. 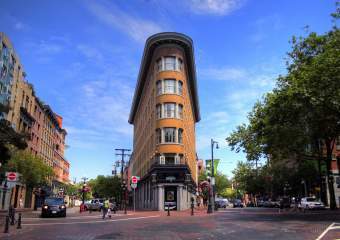 Tourism Vancouver is believed to be the first destination marketing organization in North America with a Sustainable Destination Specialist, who works to steward the industry in green tourism development. The Union Cycliste International (UCI) awarded Vancouver with the Bike City Label to recognize the city&apos;s strategies to grow and promote everyday cycling. Host of the UCI Gran Fondo World Series Qualifier 2019 and and 2020 UCI Gran Fondo World Championships, Vancouver aims for two-thirds of trips to be made by walking, cycling, and shared-transport by 2040. Vancouver is the Most Active City in Canada, according to Expedia.ca. The ranking is based on factors including number of marathons and hiking trails; access to bike paths, trails, and races; per capita gyms (CrossFit, yoga studios, rock climbing, etc. ); and abundance of outdoor activities such as kayaking, canoeing, etc. Vancouver made the list of Top Five US & Canada Cruise Destinations in Cruise Critic’s 2018 Cruisers’ Choice Destination Awards. The awards are given exclusively on consumer ratings and reviews posted to the Cruise Critic website over the past year. In Monocle’s 2018 Quality of Life Survey, Vancouver was the only North American City to earn a spot in the top 25. Vancouver is one of North America’s top meetings destinations, according to the Watkins Research Group’s biennial Meeting and Convention Planners Survey. The report is considered the most comprehensive and authoritative rankings in the industry and is based on a survey of nearly 1,000 meeting and convention organizers worldwide. This year, out of the 40 North American cities surveyed, Vancouver placed first in Canada and second in North America. Vancouver International Airport (YVR) was voted Best Airport in North America for an unprecedented ninth consecutive year at the Skytrax World Airport Awards. Recognized as the global benchmark of airport excellence, the awards were voted on by 13.73 million passengers worldwide. YVR is the first and only airport to receive this top accolade for nine consecutive years. Vancouver has once again ranked the top city in North America in Mercer’s 20th Annual Quality of Living Survey, maintaining the title of fifth most livable city in the world, after Vienna, Zurich, Auckland and Munich. Vancouver is the only North American city to crack the top 10. Mercer’s annual survey compares and ranks 231 major cities across the globe according to 10 criteria, including political and social environment; sociocultural factors; housing; natural environment and more. Canada has once again placed second in the Overall Best Countries Ranking by US News & World Report, out of a list of 80 countries, trailing only behind Switzerland at number one. The 2018 Best Countries report and rankings are based on how global perceptions define countries in terms of a number of qualitative characteristics, impressions that have the potential to drive trade, travel and investment and directly affect national economies. Vancouver was named Best Destination in Canada for the 15th consecutive year at the 2017 Travel Weekly Readers Choice Awards. The nominees and award recipients were chosen in two rounds of voting by Travel Weekly’s audience of travel professionals. Vancouver is North America’s most sought-after destination for a business meeting, according to STR’s DestinationMAP (Meeting Assessment Program), a comprehensive study of meeting planners and the meetings market in North America. This year, out of 40 North American cities the research group surveyed, Vancouver was the highest-rated business meeting site (8.9 out of 10), exceeding all other markets in a tie with San Diego. Vancouver also nets the highest percentage of combined 9-10 ratings overall in this category. “In its 150th year, Canada has proven to be a destination on the rise. On the international stage, it&apos;s become a source of stability and hope in a time when the news is mostly dominated by crisis and political rhetoric. The country welcomed refugees and immigrants with open arms, and encouraged travelers to experience its one-of- a-kind cultural institutions, emerging neighborhoods, and top culinary talents.” – Travel + Leisure. In Conde Nast Traveler’s 2017 “Best Cities in the World” (top 20 large cities) list, Vancouver was ranked number eight – in the company of major tourist destinations like Paris, Sydney, London and Rome. The ranking was part of the Reader&apos;s Choice Awards in which Conde Nast Traveler readers cast hundreds of thousands of votes for their favourite destinations. The World Routes Marketing Awards are highly regarded as the most prestigious awards in the aviation industry, as they are voted for and judged by the airline network planning community. Vancouver International Airport was awarded the Overall 2017 Winner, meaning best airport globally, and also won the 20-50 million passengers category. Vancouver was named the best place in the world to start a business by UK’s leading freelance marketplace PeoplePerHour, topping the Startup City Index with a high quality of life, good access to office space and relative ease of getting a company off the ground. Vancouver edged out major startup hubs like Berlin, Manchester, San Francisco, New York and London. The Economist Intelligence Unit’s (EIU) annual Global Liveability Report has once again ranked Vancouver as one of the world’s most livable cities. Vancouver placed third globally, after Melbourne, Australia and Vienna, Austria. The EIU’s Global Liveability Report scores 140 cities on five lifestyle categories, including stability, healthcare, culture & environment, education and infrastructure. Ipsos Reid’s global poll surveyed 18,500 people in the US and Canada on which cities in the world they think are best to live in, visit and do business in. Vancouver ranked 3rd in the list of best cities to live in after Zurich and Sydney. The only other Canadian city to crack the top ten is Toronto, ranked 5th out of 60 cities on the list. Vancouver was named the Best Family Vacation Destination in Canada in the U.S. News & World Report 2017 travel rankings. 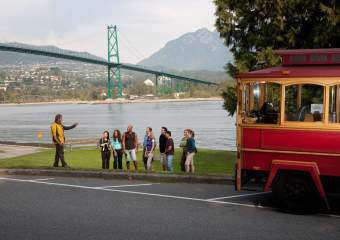 Praised for its family-friendly attractions like Granville Island and Capilano Suspension Bridge Park, “Vancouver is both an urban and a natural playground…and a go-to getaway for the multi-faceted traveler.” The U.S. News & World Report travel rankings are based on an analysis of expert and user opinions. The 18th annual edition of the most comprehensive survey of Canadian travel agents has announced Vancouver as Agents’ Choice for Best Canadian City. Vancouver has held the top spot for four out of the past five years. Toronto took second place, followed by Montreal, Quebec City and Victoria. 5,770 Canadian travel professionals voted to name their favourites in over 30 categories. Vancouver has once again been honored with a TravelAge West Editor’s Pick Award in the category of Destination with the Highest Client Satisfaction, Canada, as part of the TravelAge West WAVE (Western Agents’ Votes of Excellence) Awards. Now in its twelfth year, the goal of TravelAge West’s WAVE Awards is to provide travel agents in the West the opportunity to recognize the outstanding qualities and services of their travel-supplier partners. The Editor’s Picks were chosen by Editor-in-Chief Ken Shapiro and the entire editorial team of TravelAge West. Review methods included product analysis, on-site visits, a survey of a select group of travel agents and online research. Vancouver has once again ranked the top city in North America in Mercer’s 19th Annual Quality of Living Survey, maintaining the title of fifth most livable city in the world, after Vienna, Zurich, Auckland and Munich. Vancouver is the only North American city to crack the top 10. Mercer’s annual survey compares and ranks 231 major cities across the globe according to 10 criteria, including political and social environment; sociocultural factors; housing; and natural environment. Vancouver ranked No. 1 in TripAdvisor’s 2017 Travelers’ Choice Awards for Top 10 Destinations in Canada. 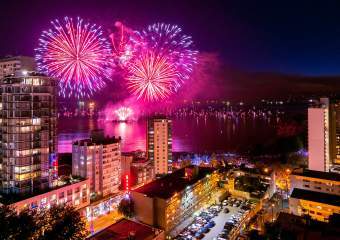 Celebrated for its “snow-capped mountains, waterfront forests, cityside beaches, Olympic history and the world’s highest suspension bridge,” Vancouver topped the list over Whistler, Quebec City, Montreal, and Toronto. TripAdvisor surveys millions of travellers each year for their favourite destinations, hotels and attractions worldwide. Vancouver International Airport (YVR) was voted Best Airport in North America for the eighth consecutive year at the Skytrax World Airport Awards. Recognized as the global benchmark of airport excellence, the awards were voted on by 13.8 million passengers worldwide. YVR is the first and only airport to receive this top accolade for eight consecutive years. China’s leading online travel agency, Ctrip, recently named Vancouver as a favourite destination, as voted by travellers born after the year 1980. Vancouver ranked No. 7 overall and is the only North American destination to make the top 10. Stanley Park, Capilano Suspension Bridge Park and Canada Place were named the top three attractions in Vancouver. Seven million+ Ctrip users vote over a three month period on eight categories, including destinations, attractions, hotels, culinary, cruises, shopping, airlines and car rentals, to determine the winners. Vancouver has placed on Forbes’ Top-10 List of 2017 Travel Trends and Destinations. “Vancouver is perfectly nestled between the Coast Mountains and the Pacific Ocean offering endless options and attractions, such as the nature scene at Stanley Park,” says Co-founder and CEO Swapnil Shinde of the personal travel concierge app, Mezi. Vancouver was named Best Destination in Canada for the 14th consecutive year at the 2016 Travel Weekly Readers Choice Awards. Travel Weekly, the most influential source of news, research, opinion and analysis to the travel industry, honored award winners in 78 categories at a black-tie gala ceremony on December 15 at the Conrad New York. The nominees and award recipients were chosen in two rounds of voting by Travel Weekly’s audience of travel professionals, and thus, winners represent the best of the best of the travel industry. The Arcadis Sustainable Cities Index ranks 100 global cities on three dimensions of sustainability - People, Planet and Profit - to capture a snapshot of the health and wealth of cities in present and future. Vancouver took the top spot in North America (23rd globally), followed by New York (26th), Montreal (28th) and Toronto (33rd). Vancouver scored well in a number of categories, notably air pollution – the city received the highest score worldwide in this measure. Vancouver International Airport (YVR) was named Airport of the Year, granted to the airport that has done the most to advance the progress of the global aviation industry. YVR is the first airport in North America to ever receive this award. The airport was praised for community-based governance that allows profits to be reinvested back into airport operations and development, environmental initiatives to reduce greenhouse gas emissions, and remarkable customer service, among others. In Conde Nast Traveler’s annual “Best Cities in the World” list, Vancouver was ranked number six – ahead of major tourist destinations like Paris, Sydney, London and Melbourne. Editors polled 100,000 Conde Nast readers to determine the best cities globally according to travellers worldwide. The Economist Intelligence Unit&apos;s (EIU) Global Liveability Ranking scores 140 cities on five lifestyle categories, including stability, healthcare, culture & environment, education and infrastructure. Six of the top 10 most livable cities in the world are in Australia and Canada. Melbourne ranked first, Vienna was second and Vancouver third, followed by Toronto, Adelaide, Calgary, Perth, Auckland, Helsinki and Hamburg. Vancouver has been named Destination of the Year in the 2016 edition of the Luxury Travel Guide Awards. These awards represent the pinnacle of travel and tourism achievement, championing the best in their respective fields. All winners are subject to the same rigorous assessment carried out by the publication’s in-house professionals. The Luxury Travel Guide provides insight for the affluent traveller, with over half a million registered subscribers for its newsletters and digital publications. The Luxury Travel Guide Awards annual printed publication is distributed to 10,000 luxury hotels around the world and is also available at 23 exclusive Aspire Airport Lounges across Europe. Readers are professional, affluent and high net worth individuals. Amsterdam-based ICCA releases an annual report ranking cities according to the number of international meetings hosted in the previous year. Thanks to factors like state-of-the-art convention facilities and strategic destination marketing, Vancouver hosted 78 international meetings in 2015 – more than any other city in North America. The city placed 29th in the world, ahead of other renowned meetings destinations like Montreal and Toronto. Vancouver made the list of the top 10 Rising Star foodie destinations in Gogobot&apos;s 2016 Foodie Tribe Awards, bringing local produce and seafood with Far East influences to the table. Gogobot takes a number of different factors into account when selecting its winners, including data from more than 60,000 destinations in its database and traveler reviews and recommendations. TripAdvisor’s Most Popular Summer Rental Spots in Canada list is based off an analysis of vacation rental interest for stays between June 2016 to August 2016 in Canadian destinations where rental properties are available on TripAdvisor. 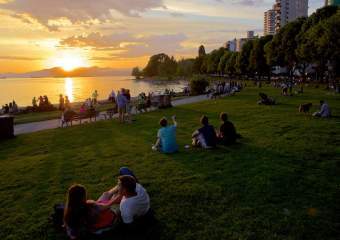 Findings show that travellers have praised Vancouver for its quirky neighborhoods, free summer festivals, and scenic public gardens and beaches. U.S. News & World Report, a nationally recognized publisher of consumer advice and information, released its annual rankings of the Best Vacation Destinations for 2016-17. Vancouver ranked No. 1 in the category of Best Places to Visit in Canada, and was praised as a “go-to getaway for the multi-faceted traveler.” To identify top vacation spots worldwide, U.S. News analyzed more than 250 destinations using a methodology that combines travelers’ opinions with expert analysis. Vancouver was named Favourite City in Canada by Baxter Travel Media’s 2016 Agents’ Choice Awards, the 17th year of the annual readership survey. This year, over 5,500 travel trade professionals in Canada were surveyed on 35 categories to reveal trade favourites, from airlines to resorts to destinations. Baxter Travel Media publishes Canadian Travel Press and Travel Courier, two leading Canadian travel industry publications. Vancouver has been honored with a TravelAge West 2016 Editor’s Pick Award in the category of Destination with the Highest Client Satisfaction, Canada, as part of the TravelAge West WAVE (Western Agents’ Votes of Excellence) Awards. Now in its eleventh year, the goal of TravelAge West’s WAVE Awards is to give travel agents in the West the opportunity to recognize the outstanding qualities and services of their travel-supplier partners. The Editor’s Picks were chosen by Editor-in-Chief Kenneth Shapiro and the entire editorial team of TravelAge West. Review methods included product analysis, on-site visits, a survey of a select group of travel agents and online research. The travellers have spoken: Tourism Vancouver’s Visitor Centre has been recognized with the prestigious 2016 Certificate of Excellence designation from TripAdvisor. This achievement celebrates businesses who have consistently achieved glowing traveller reviews on TripAdvisor over the past year and maintained an overall TripAdvisor bubble rating of at least four out of five. The Visitor Centre offers free information and reservations services, as well as exclusive discounts on selected products such as attractions admissions, adventure products, sightseeing tours and lift tickets. Thirty cities out of an original list of 150 made the cut to be considered the SportBusiness Ultimate Sports City of 2016 based on their major event portfolios. Cities were voted on by a panel of esteemed external judges, based on categories such as venues, transport and infrastructure, and event strategy. Vancouver ranked 16th overall and took home the award for Best Quality of Life and Economic Impact. Vancouver ranked No. 1 in TripAdvisor’s 2016 Travelers’ Choice Awards for Top 10 Destinations in Canada. Celebrated for its “forests, grand parks and impressive suspension bridge,” Vancouver topped the list over Quebec City, Montreal, Toronto and Victoria. TripAdvisor surveys millions of travellers each year for their favourite destinations, hotels and attractions worldwide. For an unprecedented seventh consecutive year, Vancouver International Airport (YVR) was named North America’s number one airport in the Skytrax World Airport Awards. Considered the global benchmark of airport excellence, the Skytrax awards are distributed based on more than 13 million passenger surveys conducted across 550 airports. Vancouver has once again ranked the top city in North America in Mercer’s 18th Annual Quality of Living Survey, maintaining the title of fifth most livable city in the world. Vancouver is the only North American city to crack the top 10. Mercer’s annual survey compares and ranks more than 440 cities across the globe according to 10 criteria, including political and social environment; sociocultural factors; housing; and natural environment. Forbes Travel has ranked the BMO Vancouver Marathon as one of the ‘12 Top Marathons Worth Traveling For.’ Listed alongside world-renowned races such as Big Sur, Maratona di Roma, the Great Wall Marathon, and Marathon de Paris, the BMO Vancouver Marathon represents as Canada’s top destination race, welcoming thousands of runners from across the globe and showcasing Vancouver’s spectacular scenery. The Guardian (UK) named English Bay one of the top city beaches in the world, highlighting the West End’s unique cafes, iconic Stanley Park, Honda Celebration of Light fireworks, and the unbeatable sunsets. English Bay was one of only two Canadian beaches to make the list. In TravelAgeWest’s Western Agents’ Votes of Excellence (WAVE) awards, Vancouver was named the destination with highest client satisfaction in Canada. More than 6,000 travel agent professionals, along with readers of TravelAgeWest, cast votes based on a “best of the best” list curated by the publication’s editorial team. 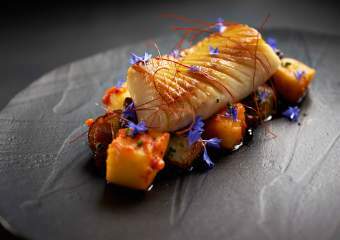 In the esteemed publication’s annual Readers’ Choice Awards, Vancouver was named the 12th best food city in the world. Readers and editors praised Vancouver’s authentic Asian food, decadently diverse dining experiences, and local restaurants’ effortless ambience – all housed in a “sparkling waterfront city”. Tourism Vancouver’s Be a Host program received this coveted award that recognizes people and organizations that support the development of meetings and conventions, or the development of policy and programs impacting the meetings industry. Be a Host was honoured for its positive influence in the industry and for providing major support to global events that have confirmed programs in Vancouver. For the sixth consecutive year, Vancouver International Airport (YVR) was named North America’s number one airport in the Skytrax World Airport Awards. Considered the global benchmark of airport excellence, the Skytrax awards are distributed based on more than 13 million passenger surveys conducted across 550 airports. Vancouver has once again topped Mercer’s Quality of Living Survey, maintaining the title of North America’s Most Livable City and fifth most livable in the world. Mercer’s annual survey compares and ranks more than 440 cities across the globe according to 10 criteria, including political and social environment; sociocultural factors; housing; and natural environment. Vancouver received the 2015 Editor-in-Chief Award for Best Canada Port in Porthole Cruise Monthly, the leading consumer cruise and travel publication in the U.S. The annual awards list honours members of the cruise and travel industry who have gone above and beyond in terms of service, quality and excellence. In Travel Weekly’s annual “Reader’s Best” awards, more than 9,000 readers voted Vancouver the best destination in Canada. The publication’s readership is primarily made up of travel counselors, industry marketing executives and CEOs of the world’s largest travel companies – a group very much qualified to evaluate the tourism industry’s ever-increasing range of destinations, products and services. Vancouver was named one of the world’s top three cities (along with Cape Town, the winner, and Venice) in a global survey that received nearly 90,000 respondents. Every year, readers of the U.K.’s Telegraph newspaper vote for their favourite travel companies and destinations, making these awards among the most comprehensive and wide-ranging travel surveys in the world. Vancouver is among the world’s top 10 most reputable cities, according to the New York-based Reputation Institute. Every year, the organization rates cities around the world on factors related to advanced economy, appealing environment and effective government. Data is collected via interviews with more than 19,000 people in cities with large populations, strong gross domestic product and heavy tourism. Vancouver ranked seventh on the list with a score of 74.8 points out of 100. Every year, the Global Green Economy Index measures the green economic performance of 60 countries according to four key dimensions – leadership and climate change, efficiency sectors, markets and investment, and environment and natural capital – and contrasts this with perceptions by expert practitioners on these same dimensions. The resulting rankings reflect the actual green performances of countries and cities worldwide, as well as global perceptions of countries. This year, Vancouver was named among the top greenest cities in the world – the only city in North America to land in the top five – and significantly outperformed the perception and actual scores for Canada. Vancouver International Airport (YVR) was named Best Airport in North America for the fifth year running, and ranked ninth worldwide. Economist Intelligence Unit’s Global Livability Ranking (August 2014)Vancouver was once again named one of the world’s most livable cities, ranking third (just behind Melbourne and Vienna). The ratings are based on a comprehensive assessment of 140 cities round the world, ranked according to five categories: stability, health care, culture and environment, education and infrastructure. Time Magazine named Vancouver among the world&apos;s healthiest cities, indicating that "it&apos;s hard to beat Vancouver" when it comes to healthy lifestyles. The publication cited the city&apos;s mild climate, locally sourced foods, outdoor activities, healthcare and low-cost education as major contributors to Vancouver&apos;s fit reputation. The world’s definitive publication for destination and travel information, Travel + Leisure’s annual World’s Best Awards is based on reader evaluations of cities worldwide. Ratings are based on five characteristics, including sights/landmarks, culture/arts, restaurants/food, people and value. This year, Vancouver’s score was high enough to claim the title of best city in Canada and sixth best in North America. In its 2014 Travellers’ Choice Awards, TripAdvisor named Stanley Park the top urban park in the world. Each year, the company surveys millions of travellers for their favourite hotels, destinations, attractions and beaches worldwide, and shares the results on its high-traffic website. Travellers cited Stanley Park as the world’s best because of its "mini-forest, beautiful gardens, totem poles and scenic walkways". Internationally renowned Monocle magazine named Vancouver the top city in North America in its 2014 Quality of Life survey. The publication is based out of London and provides comprehensive briefings on global affairs, business, culture and design. In its annual Quality of Life compilation, Monocle examines the “elusive alchemy that makes a good city a great place to live”. Vancouver received the 2014 Garden Tourism Award for Garden Destination of the Year. The annual awards highlight the country’s most dynamic garden experiences and acknowledge destinations as well as specific venues for contributing to Canada’s garden experience within the tourism industry. In Mercer’s annual Quality of Living survey, Vancouver was ranked top city in North America and fifth in the world. The 2014 survey measured living conditions in more than 460 cities according to factors such as political and social environment; economic environment; schools and education; housing; and natural environment. SportsEvents awarded Tourism Vancouver the 2014 Readers’ Choice Award in the British Columbia category. One of the industry’s leading publications, SportsEvents focuses exclusively on assisting planners with producing excellent competitions in Canada and the U.S. Every year, sports event professionals from across North America are asked to nominate sports commissions, convention and visitor bureaus, and event venues that they believe show exemplary creativity and professionalism toward the groups they host. In Travel Weekly’s 11th annual awards chosen by the publication’s readers – including travel counsellors, industry marketing executives and CEOs of the world’s largest travel companies – Vancouver was voted the Best Destination in Canada. In Travel + Leisure’s annual "World&apos;s Best" awards, Vancouver was ranked #9 on the list of top cities in Canada and the U.S.
Vancouver’s 1,000 acre Stanley Park was included on Travel + Leisure magazine&apos;s list of world’s most beautiful city parks. Vancouver was named one of National Geographic magazine&apos;s "Top 10 Beach Cities" alongside Sydney, Honolulu, Barcelona, Rio, Nice, Cape Town, Miami, Tel Aviv and Santa Monica. For the 10th year in a row, Vancouver was named Canada&apos;s best destination in Travel Weekly magazine’s Readers&apos; Choice Awards. The awards are voted on by the publication&apos;s core readership of accredited U.S. travel agents. Vancouver has won the "Best in Destination: Canada" award for all 10 years the awards have been held. In Mercer’s annual Quality of Living survey, Vancouver ranked top in North America and fifth in the world. The 2012 edition of Mercer&apos;s annual assessment rated 221 cities on 39 dimensions, including culture, crime, education and public services. Condé Nast Traveler magazine readers voted Vancouver the best city in Canada to visit. Vancouver is the world’s most reputable city, according to the Reputation Institute’s annual poll. The Copenhagen-based organization surveyed more than 18,700 people worldwide on the reputations of 100 major cities, and Vancouver beat out world centres like Vienna and Sydney to earn top spot. Vancouver received the World Travel Award for North America’s Leading Sports Tourism Destination. Voted on by travel agents worldwide, The World Travel Awards acknowledges and celebrates excellence across all sectors of the global travel and tourism industry. In its annual Travel Awards, Outside magazine named Vancouver the world’s Best Weekend Escape. The awards honour the best destinations and experiences across all seven continents, as determined by the publication’s global network of correspondents. In its annual Market Report study, Meetings + Incentive Travel named Tourism Vancouver one of Canada’s top three Convention and Visitor Bureaus. For the second year in a row, Vancouver International Airport (YVR) was named the best airport in North America. The Skytrax World Airport Service Quality Survey is the most respected Customer Survey of Airport product and service quality, with over 500 airports covered. The Economist Intelligence Unit (EIU) has named Vancouver the third most liveable city in the world, based on the organization&apos;s Global Liveability Rankings survey. Over 30 indicators, grouped into five categories (stability, healthcare, culture and environment, education and infrastructure) are reviewed across 140 cities worldwide, and Vancouver impressively met 97.3 per cent of the criteria set. Vancouver has achieved first-place ranking on this esteemed list multiple times since 2005. Travel Weekly magazine acknowledged Vancouver as the top Canadian destination for 2010 in their eighth annual Readers’ Choice Awards. Vancouver has won all eight times. Readers of Condé Nast Traveler magazine voted Vancouver the “Best City in the Americas” at their annual Readers’ Choice Awards in New York. Vancouver won the top spot over Quebec City, Buenos Aires and Victoria. Cities are scored on ambience, friendliness, culture and sites, restaurants, lodging, and shopping, to give a final ranking. Vancouver was previously named “Best City in the Americas” by Condé Nast Traveler readers in 2004, 2005, 2006 and 2009. Up! magazine has ranked Vancouver as Canada&apos;s "Most Walkable City" for the second year in a row. Vancouver topped the list based on judging criteria that assessed the experience each city provides to pedestrians - ranging from width of sidewalks to parkland paths. The ranking is part of Up! magazine’s annual walking index in an effort to recognize, celebrate and critique how Canadian cities facilitate the most basic travel of all: the one that starts with our own two feet. Vancouver has once again been named in the "top 10 of the world’s ultimate sports cities". The city finished sixth overall behind Sydney,Berlin, London, Singapore and overall winner Melbourne. However, Vancouver finished first in the medium sized city category, as well as for Quality of Life, one of the criteria in the assessment. In a worldwide ranking of the number of international meetings held per city, Vancouver placed 33rd on the list, which makes it the #1 convention city in North America. The Economist Intelligence Unit (EIU) has once again named Vancouver as the world&apos;s most liveable city based on the organization&apos;s Global Liveability Rankings survey. Over 30 indicators, grouped into five categories (stability, healthcare, culture and environment, education and infrastructure) were reviewed across 140 cities around the world, and Vancouver impressively met 98 per cent of the criteria set. Not only is Vancouver the world’s most liveable city, but the EIU also ranked Vancouver as the top city for business travel for the third year in a row. The Business Travel index assessed and compared 140 cities as potential venues for business trips, conferences and training locations, taking into consideration the cost-related and environmental factors of each city. For the third year in a row, Vancouver was recognized as the number one gay leisure travel destination in Canada during an international survey conducted by Community Marketing Inc. (CMI). The annual survey, with over 4,000 gay and lesbian participants, is the largest of its kind and placed Vancouver at the top spot within Canada above both Montreal and Toronto. Vancouver also ranked as the second most-visited international destination.